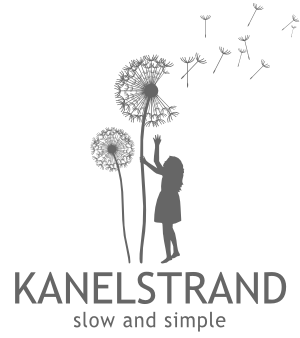 Welcome and welcome back to the eco-minded sponsors of Kanelstrand Organic Living! Please, take a moment to click through to their online shops and get to know how and what these artists create! You will be amazed by their talent, I promise! Don't miss the discount codes they offer especially for Kanelstrand readers. I also encourage you to follow them on Twitter or Facebook to be the first to get discount updates from them. I am an artist who likes to make things and I am passionate about vintage. I sell a range of interesting vintage items that I consider has good design, fine craftsmanship or is amusing and unusual. I make jewelry out of vintage souvenir spoons and vintage pieces. No two are ever alike and I love the idea of wearing something about a sense of place that comes from another time. With coupon code KANEL20 you get 20% off your entire order. One of the most basic tenets of green living is reusing and recycling. Taking old things others have thrown out and have no use for anymore and giving them a second life. Jezzy Belle's is filled with gorgeous vintage goodies to help you do just that! Use the code KANELSTRAND for 15% off your entire order! I am a redhead with a touch of gray hair .. my shop name! The pieces are gently created using repurposed stone . cloth . paper . wood offered to you from the earth, many pieces are one of a kind .. all are unique, which is the joy of handmade! With coupon code REDORGRAY10 you get 10% off your entire order. Thanks to the talented Kanelstrand sponsors for advertising and sharing with us their generous discounts! All of the funds raised by their ads go back into spreading the word about handmade and green living, and promoting the Kanelstrand blog.